€ 0,15 for each extra hour. A safe and and easy way to park your bicycle at Meijersplein Rotterdam (P+R and station stop E)? Apply for your pass (€ 20,- deposit). Many railway stations, city centers, shopping malls etc. have a bike parking problem. There is a lack of bicycle parking options. 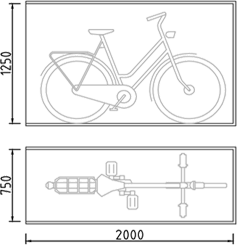 Not all modern bicycles fit in the current parking provided which can cause damage to bicycle. This challenge will be bigger in the near future because of mobility programs and the increase of the popularity of e-bikes. 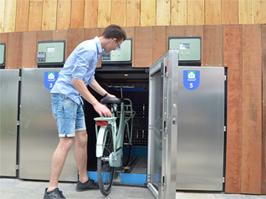 FietsDock is an innovative solution; a fully automatic locker facility. Its fast and easy to park all types of bikes. 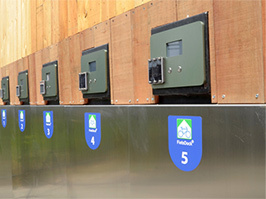 Safe and dry, it can also be used for storing shopping and to charge electric bikes. 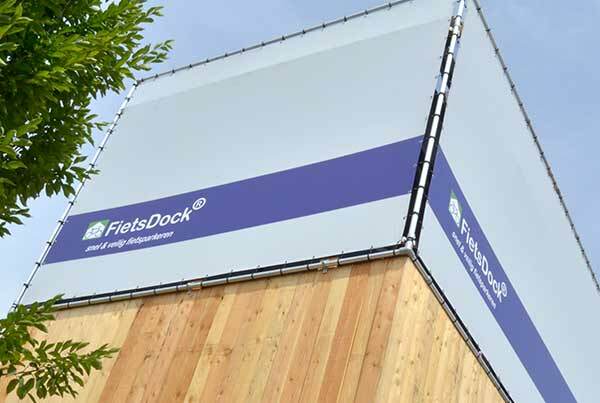 In 2017 the first FietsDock facility was realized at Meijersplein in Rotterdam as a result of a startup program. 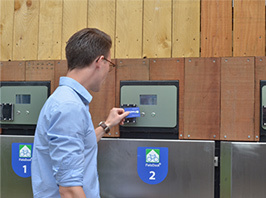 The panel on the starter program, sponsored by the local government of Rotterdam awarded FietsDock as the most innovative solution to the bicycle parking problem.